For nearly four decades the Plumbing Pro has helped home owners and businesses all over the Northland. From North Kansas City to Liberty the Plumbing Pro has proudly offered affordable solutions to all kinds of plumbing problems. If your home has a clogged drain, dripping faucet or running toilet you’d better call a PRO today. The Plumbing Pro has the experience and skill to put a smile back on your face, and promises to do it quickly and economically. We service North Kansas City, Gladstone, Riverside, Parkville, Northmoor, Claycomo, Liberty, Avondale, Oak Park, Pleasant Valley, Weatherby Lake and Lake Waukomis. Our Northland Plumbers are in your area now – to set up a NO-HASSLE FREE ESTIMATE on your plumbing problem call (816) 781-7454 now. Our professional plumbers are well-trained and committed to quickly, cleanly solving your issue. Their vehicles are fully-stocked, so in most cases we can do the work right then and there. We offer sewer camera inspections, drain cleaning, boring and backhoe services for complex sewer and water line jobs. We can install new water heaters, sump pumps, septic systems, garbage disposals, water purifiers and much more. The Plumbing Pro only sells the best products available. 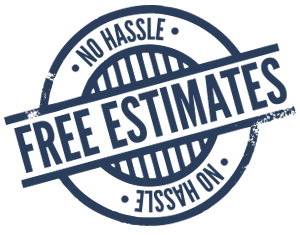 When we arrive at your home or business, we will inspect the problem, determine a solution and present your free estimate. If you like the price, we’ll do the work. Our Northland plumbing professionals are committed to a singular mission – creating another satisfied plumbing customer.